Most of the kings and emperors were constructed their places with extraordinary beauty, they prefer to put some uniqueness in their places, so now days watching a great place with bare eyes is an awesome experience. 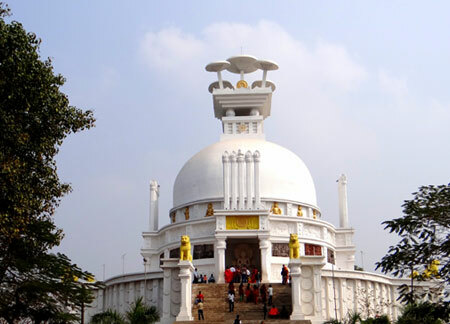 Royal Destinations of Odisha are also very interning tourist destinations for peoples, every one among us have curiosity to know about kings or emperors lifestyle, so tourist like to visit Royal Destinations Tour of Odisha and book complete tour package of various places located in different points of the state Odisha. Gajlaxmi Palace Dhenkanal, Dalijoda Palace Cuttack, Aul Palace Lokapada, Mahodadhi Palace Puri etc are extreme destinations for Odisha Royal Destination Tours. After arrival Bhubaneswar Airport / Railway station, pick-up, proceed to Puri, check-in hotel, freshen up visit world famous Jagannath Temple by our Temple priest, then enjoy at golden sea beach & beach market. Overnight at Puri hotel. Take your breakfast, proceed to Satapada (Chilika Lake – The Largest Salt Water lake of Asia, It spreads over 1100 Square K.M) enjoy the boat Cruise at Chilika lake & see “Irrawaddy dolphin” and “Sea Mouth” (Meeting point of lake & sea, name as Chilika’s island). Then back to Puri, relax at golden sea beach and free time shopping at a local market, overnight at Puri hotel. Take your breakfast, proceed to Konark (The Sun Temple and world heritage site and also known as the black pagoda).The Temple is an example of Orissan architecture of Ganga dynasty, Chandrabhaga beach, Ramachandi Temple, Stone carving village, then back to Puri visit Gundicha Temple, Urban Haat (The Traditional Marketplace), Sankaracharya’s Gobardhan Pitha (One of the Highest Dham among four in India) etc, overnight at Puri hotel. Take your breakfast, check-out from hotel and proceed to Bhubaneswar ( Capital city of Odisha) Enroute visit Raghurajpur (The Artisan village & Pattachitra centre), SakhiGopal (The Temple of Radhakrishna), Pipili (Famous for Applique work and also known as the handicraft village), Dhauli peace pagoda ( The Buddhist monument & famous for Kalinga war), Lingaraj Temple, Rajarani Temple, Mukteswar Temple, then check-in hotel at Bhubaneswar, evening time visit Ekamra Haat (The Handicraft Market) and Local market, overnight at Bhubaneswar hotel. Take your breakfast, visit Nandankanan (Zoological park and variety of wildlife sanctuary).The most attractions are the white tiger,Lion safari and Botanical garden, Khandagiri & Udayagiri (The famous rock-cut caves Hatigumpha and wonderful sculptures in Ranigumpha built by Mahameghavahana Aira Kharavela),Tribal Museum, Local market, overnight @ Bhubaneswar hotel. Take your breakfast, check-out from hotel and proceed to Ratnagiri,visit famous and great Buddhist attraction and Buddhist history of sculptures at Ratnagiri,Udayagiri and Lalitgiri. These are also famous as the name of “Diamond Triangle” of Odisha, then visit Langudi (Famous for Buddhist Sculptures), check-in Swiss Tent. Overnight @ Khola Swiss Tent. Early morning take your breakfast, board on a boat at Khola (Entry point of Bhitarkanika National Park) then visit different creeks to see spot crocodiles, bird sanctuary, trekking to hunting tower of an ancient king, crocodiles breeding center, spoted deer,Lotus pond,many kinds of Jungle animals and museum. Then back to Tent and overnight @ Khola Swiss Tent. Take your breakfast, check-out from Tent and proceed to Paradip, visit famous Paradip Port and sea beach, then drive back to Bhubaneswar, check-in hotel. Overnight at Bhubaneswar hotel. Take your breakfast, proceed to Cuttack, visit Cuttack Chandi Temple, Netaji Birth Place, Famous Silver Filigree work, Deer park, Maritime Museum. Overnight at Bhubaneswar hotel. Take your breakfast, relax, and check-out from hotel, free time for local market shopping then transfer to Bhubaneswar Railway station / Airport for your onward journey with sweet memories of Jagannath Dham (Odisha).